As machines become increasingly capable, mental facilities once thought to require intelligence are removed from the definition. For instance, optical character recognition is no longer perceived as an example of “artificial intelligence”, having become a routine technology. Capabilities currently classified as AI include successfully understanding human speech, competing at a high level in strategic game systems (such as chess and Go), self-driving cars, intelligent routing in content delivery networks, military simulations, and interpreting complex data. AI research is divided into sub-fields that focus on specific problems, approaches, the use of a particular tool, or towards satisfying particular applications. The central problems (or goals) of AI research include reasoning, knowledge, planning, learning, natural language processing (communication), perception and the ability to move and manipulate objects. General Intelligence is among the field’s long-term goals. Approaches include statistical methods, computational intelligence, and traditional symbolic AI. Many tools are used in AI, including versions of search and mathematical optimization , logic, methods based on probability and economics. 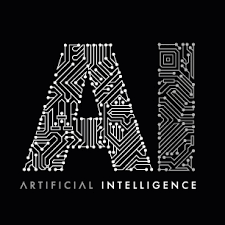 The AI field draws upon computer science, mathematics, psychology, linguistics, philosophy, neuroscience, artificial psychology plus many others. The field was founded on the claim that human intelligence “can be so precisely described that a machine can be made to simulate it”.This raises philosophical arguments about the nature of the mind and the ethics of creating artificial beings endowed with human-like intelligence, issues which have been explored by myth, fiction and philosophy since antiquity. Some people also consider AI a danger to humanity if it progresses unabated. Attempts to create artificial intelligence have experienced many setbacks, including the ALPAC Report of 1966, the abandonment of perceptrons in 1970, the Lighthill Report of 1973, the second AI-Winter 1987-1993 and the collapse of the Lips Machine Market in 1987. In the twenty-first century, AI techniques, both hard (using a symbolic approach) and soft (sub-symbolic), have experienced a resurgence following concurrent advances in computer power, sizes of training sets, and theoretical understanding, and AI techniques have become an essential part of the technology industry, helping to solve many challenging problems in computer science. Recent advancements in AI, and specifically in machine learning, have contributed to the growth of Autonomous Things such as drones and self-driving cars, becoming the main driver of innovation in the automotive industry. High-profile examples of AI include autonomous vehicles (such as drones and self-driving cars), medical diagnosis, creating art (such as poetry), proving mathematical theorems, playing games (such as Chess or Go), search engines (such as Google Search), online assistants (such as Siri), image recognition in photographs, spam filtering, prediction of judicial decisions and targeting online advertisements. The above mentioned is a brief about Artificial Intelligence. Watch this space for More Updates on Artificial Intelligence.